I was approched, back in december, by 1one to grade this music video for Driven, the first single on Montreal electro-pop artist Foxtrott. This rhythmic dance video is the result of for different shoots: two in studio including one shot on green screen and exterior shoots. The result is a very poppy edit that couldn’t suit the song better. It was directed and edited by Kevin Calero. It was graded on DaVinci Resolve from the RED footage. This was my second collaboration with director Kevin Calero. Romeo&Fils produced this music video for “Carry On”, the first single of Coeur de Pirate’s new and first English album. It was shot by Christophe Collette in an ancient church in Ontario. The choreography was shot in the day, then, again, at night and edited together by Kevin on Premiere. The edit was sent to Workshop MileEnd for some VFX. They rendered out a 4K ProRes file that I got into Resolve for the final grade. I was also asked to grade a short promo video to be distributed via social medias like Instagram. It was shot in LA by Jessica Lee Gagné on Alexa. It was treated as 4:3 and given a very dessert and natural look. 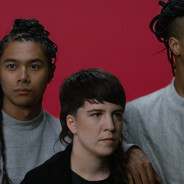 Ariane Moffatt collaborated with ValléeDumamel to produce and direct the music video for Debout, the first single of newly released album 22h22. Based on a choreography by Isabelle Boulanger, two dancers evolve in four different sets. Each set, representing a different room, was painted in a different color. To save time, DP Simon Duhamel used a gelled 12K to wash the white cyclo with the different colors. In the grading room, I only had to enhance those colors, bring back the different elements by removing unwanted color casts and make sure these color were broadcast safe. Surprisingly, this dance video doesn’t use much cuts but comes out as a very active piece. Most of the dynamics are the results of the steady cam following the dancers across the sets. The result is a movie that is both an eye candy and an ear worm. Ariane Moffatt – Debout (Vidéoclip officiel) from Ariane Moffatt on Vimeo. Earlier this month I got a call from PMT, a Montreal post house where I work on two tv series. They were taking part in an project to bring attention on the state of Radio-Canada and the rough times the state broadcaster is going through. To mark the point, about 150 artists gathered in a studio to record and sing a song that symbolize their attachement to the public broadcaster. They asked me if I’d wanted to join the team as colorist. The minutes video had 3 types of sources: the musicians, recording the song, set in a warm and friendly studio; the artists sing their parts in front of a green screen; and some “making of” that showed the artists meeting and having fun. The biggest hurdle what to graded the footage before it was keyed. Resolve has some workarounds to temporarily key a green screen but, at the time, the director, Ricardo Trogi, wasn’t sure if he wanted to key the artists in front of a logo, a white background or the old orange Radio-Canada logo. So I used the alpha output in the node window to do a basic key over white and tried to match the skin tones as much as possible. Once rendered, we sent the graded clip (with a less that ideal green screen) and a REC709 version of it to Alchemy24 and they keyed hundreds of shots in a record time. They used REC709 version to pull the key in NUKE and replaced the green by the logo, and the artists by the graded version. They also did a great job removing the green spill without touching the grade. Here are a couple shots and how they were graded in Resolve. This fall I worked on this music video for the Canadian band Rococode. 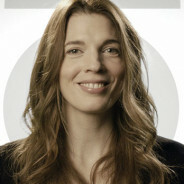 Five Thousand Fingers, a Montreal based studio, directed the video for the first single;e Banks. It was shot in various location on the Montreal island by DP John Londono on a Red Epic. In the video, we see different portraits of people living quite different lives that will somehow gather to find their way through a portal. We tried to stay true to the cloudy and mellow mood of the shoot. The studio shots were very intimate and we tried to keep the dimmed and closed atmosphere. Rococode – Banks from Fivethousand Fingers on Vimeo. BANKS by Rococode color grading breakdown from Mathieu Marano on Vimeo.